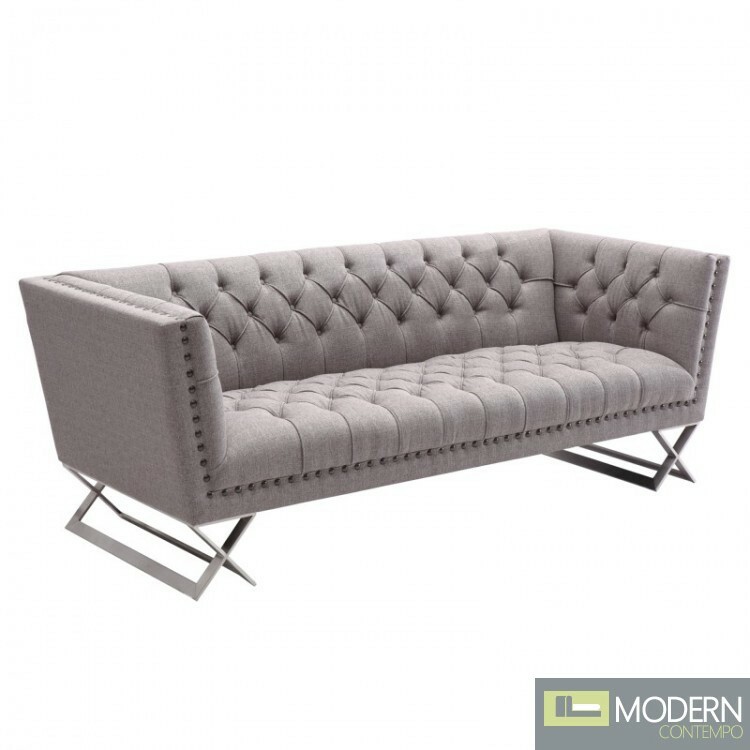 The Contemporary Odyssey Sofa is a unique and comfortable modern design that is absolutely gorgeous from every angle. 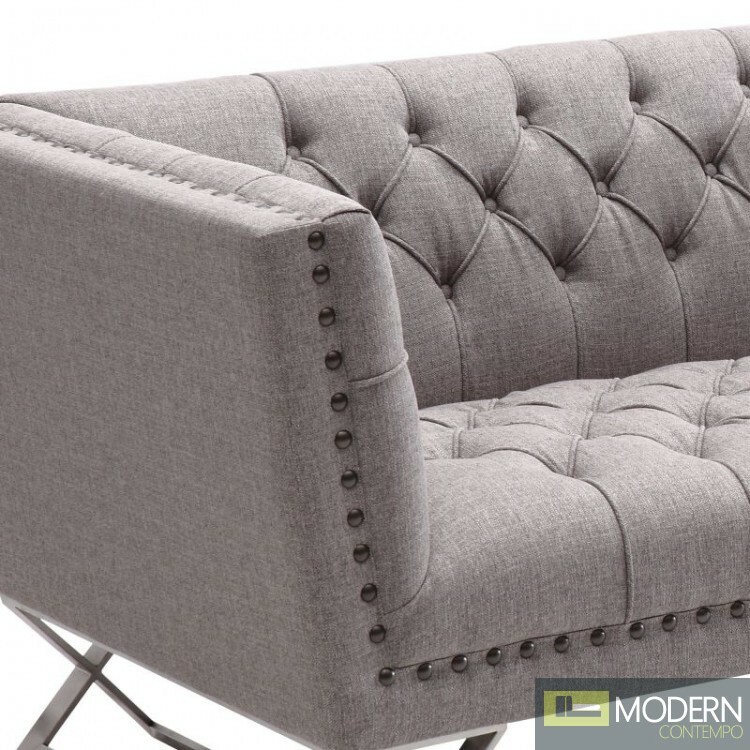 Modern and sleek by design, the entire cushion is button-tufted, creating a piped diamond shape that enhances It appeal and comfort, without sacrificing the bold modern profile. 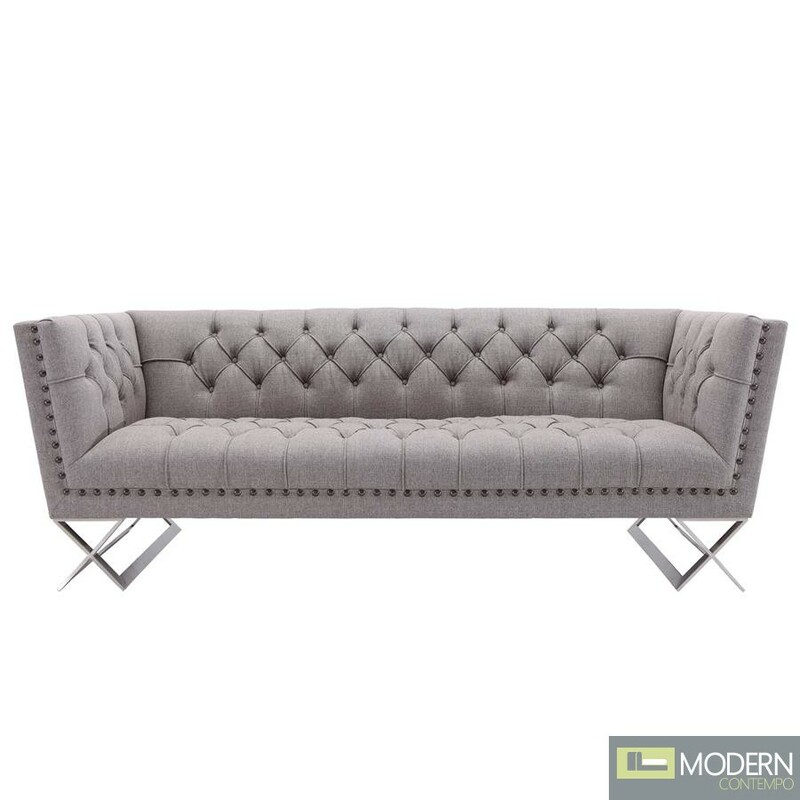 The sharp and clean line appearance is achieved with a single full length affixed back, seat and side arm cushion. The warm Gray Fabric upholstery is very neutral and bright and very agreeable when paired with other color palettes in your home. 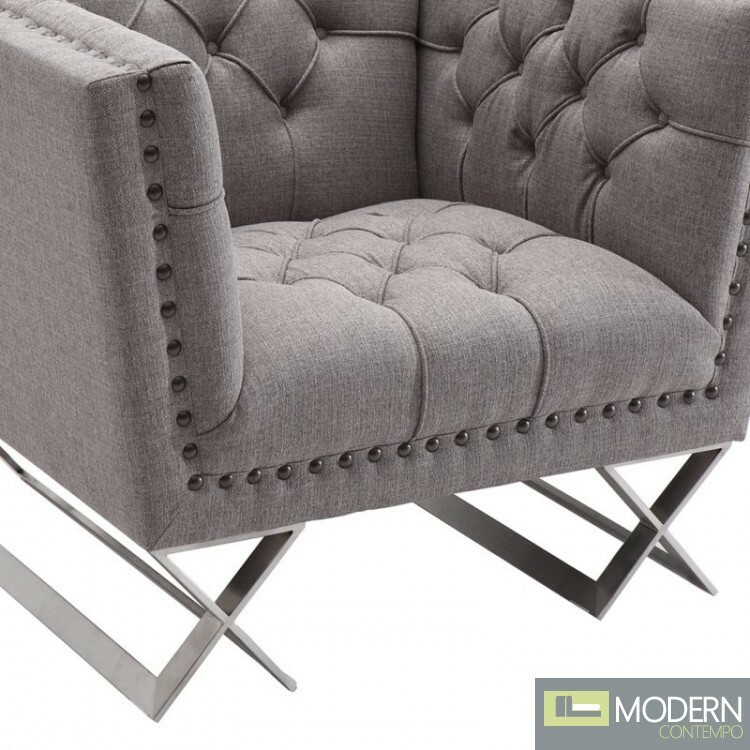 As a finishing touch, It is adorned with Black Nail head trims along the front of the sofa and a has a Brushed Stainless Steel X-leg that makes a statement in your living room space. 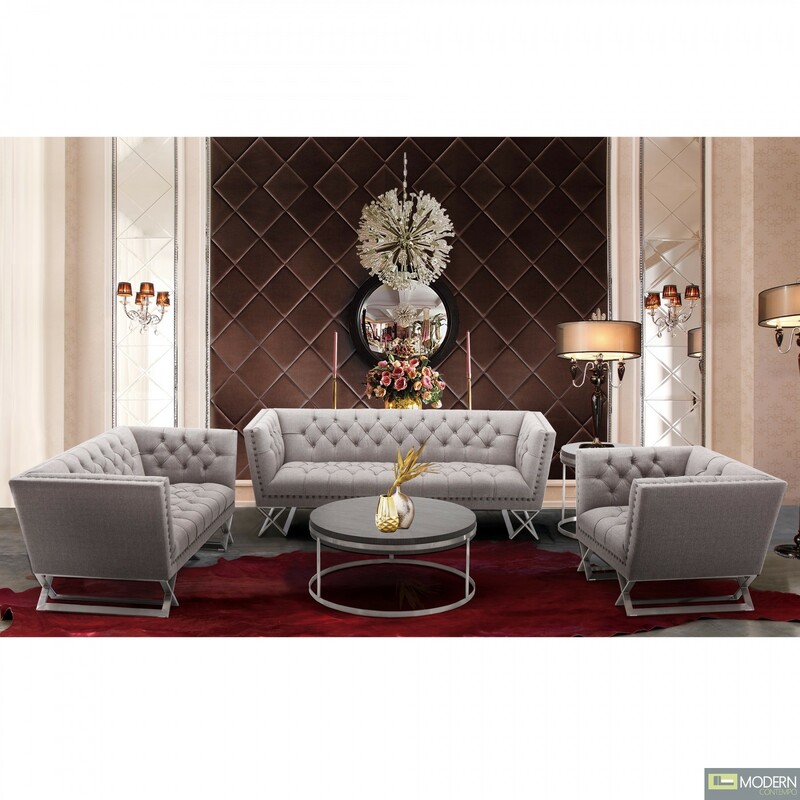 The Odyssey Sofa Collection simply sets yours style apart from the rest.